Experience 'life on the farm' at close hand - a visit to see the cows being milked and tours of the farm can be arranged. Private large patio sitting area and shared use of a games room, children's activity play area, large enclosed lawned garden and barbecue. 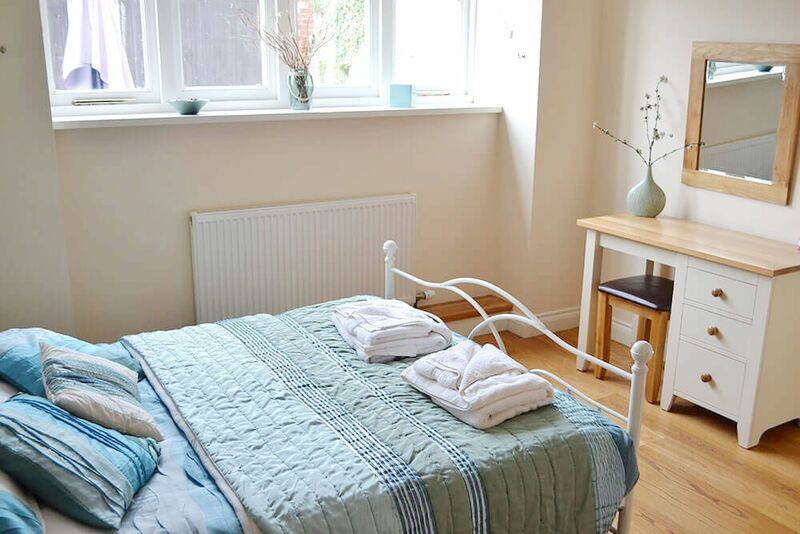 The three other properties at Webbington Farm, Kitty​ (4 Guests), Poppy (sleeps 6 + 1) and Golightly (4 + 3 Guests), can be booked with Tiarks to create a large property for family get-togethers or groups of friends of up to 25 people. Cottages may be taken individually or in any combination. Accommodation includes day passes, according to the length of stay, to the nearby Webbington Hotel's heated indoor pool, sauna, steam room, tennis courts and gym facilities. 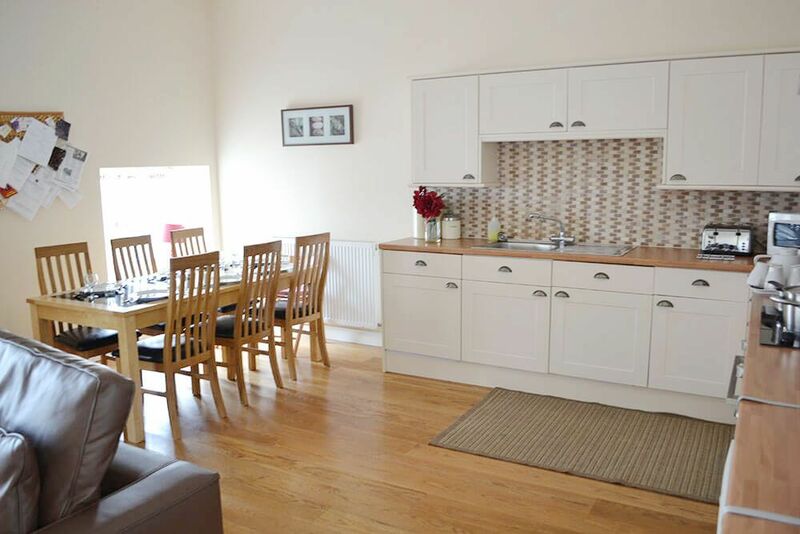 Spacious open plan living space comprising a sitting area, a dining area and a modern fitted kitchen area. The sofa bed in the sitting area can accommodate an additional 2 Guests. Triple bedroom with 3 x 3' beds. 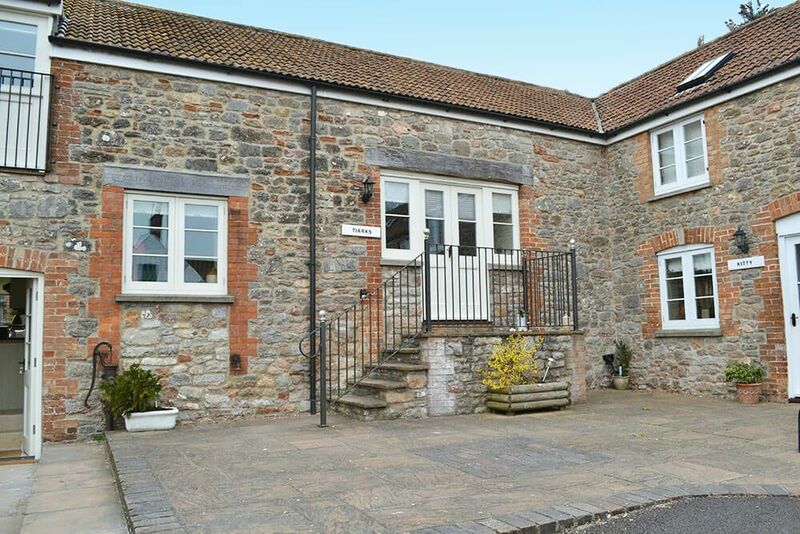 Tiarks, sleeping 4 + 3, is one of three delightful stone barn conversions situated at Webbington Farm, a working beef farm in the beautiful Somerset countryside. Forming an 'L' shaped courtyard and surrounded by plenty of open space, lush meadows and wildlife, the cottages provide an ideal base to get away from the hustle and bustle of everyday life. 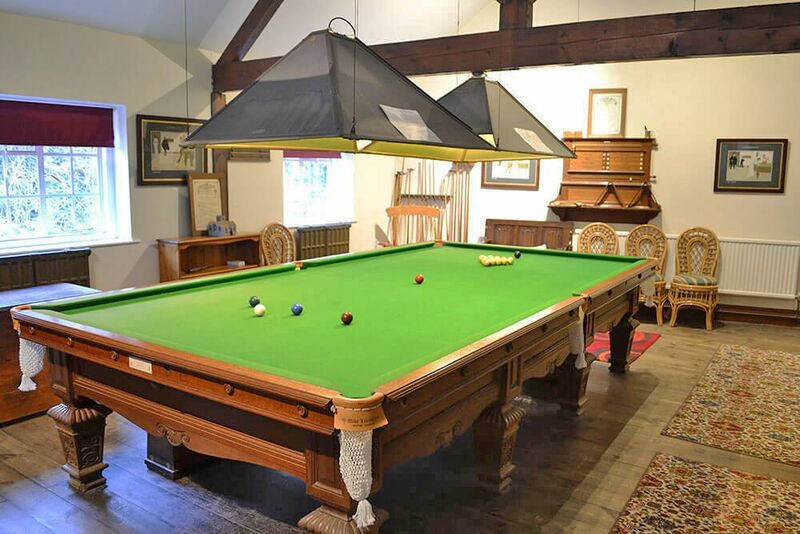 Each of the cottages has its own large patio area equipped with outdoor furniture, as well as shared use of a games room and a large enclosed lawned garden with a barbecue and children's activity play area across the courtyard. 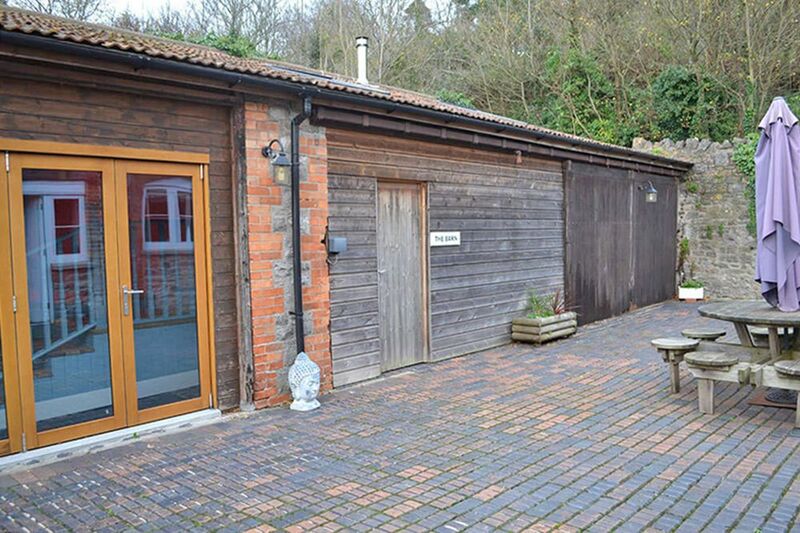 The cottages also boast their own river frontage on the River Axe for private fishing. As a family farm, there is opportunity to see the animals and experience 'life on the farm' at close hand. Complimentary tours of the farm and the opportunity to watch the neighbours cows being milked can be arranged. 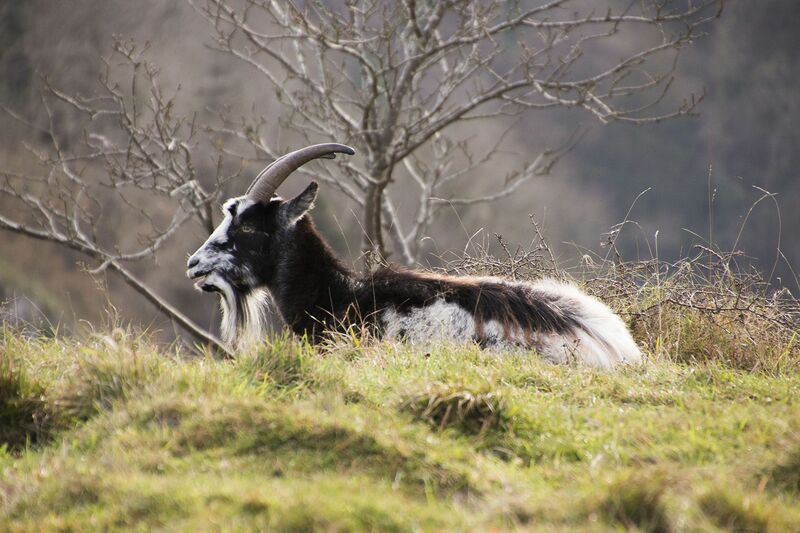 The owners are very keen on the environment and have planted 10,000 trees into a woodland, replanted an apple orchard and are involved in a number of schemes promoting good environmental practice, including a reed bed for water filtration. 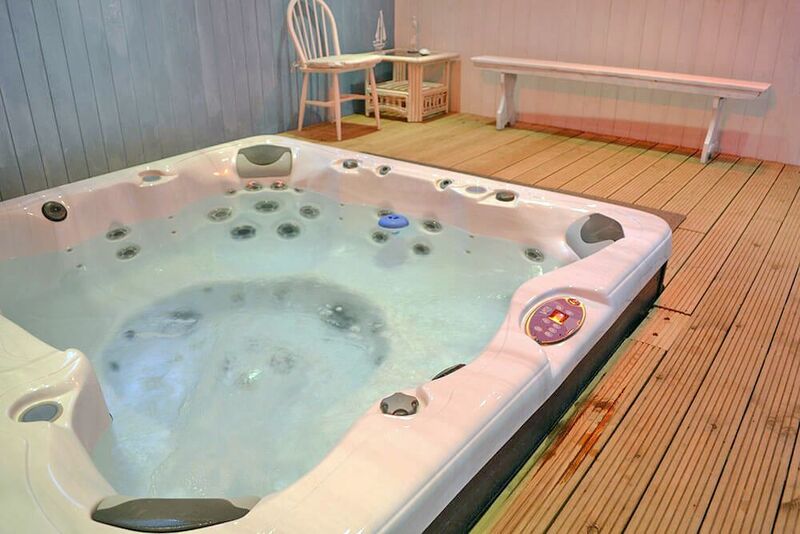 Guests at Tiarks have private access to a luxury heated hot tub in a separate building. The oak beamed cottage, named after the family that used to reside at the Webbington Hotel, boasts modern facilities and is finished to an exceptional standard. The spacious ground floor accommodation benefits from an open plan living space comprising a well-equipped kitchen, dining and sitting areas. 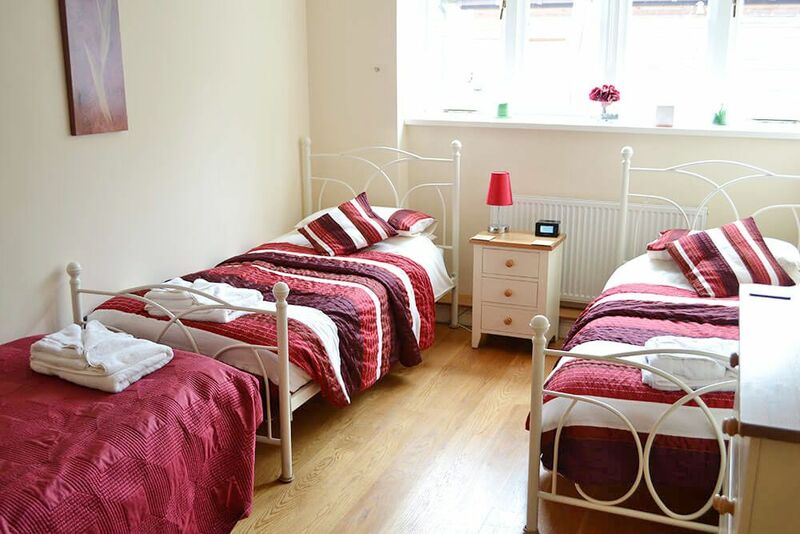 The sleeping accommodation comprises one double and one triple bedroom. 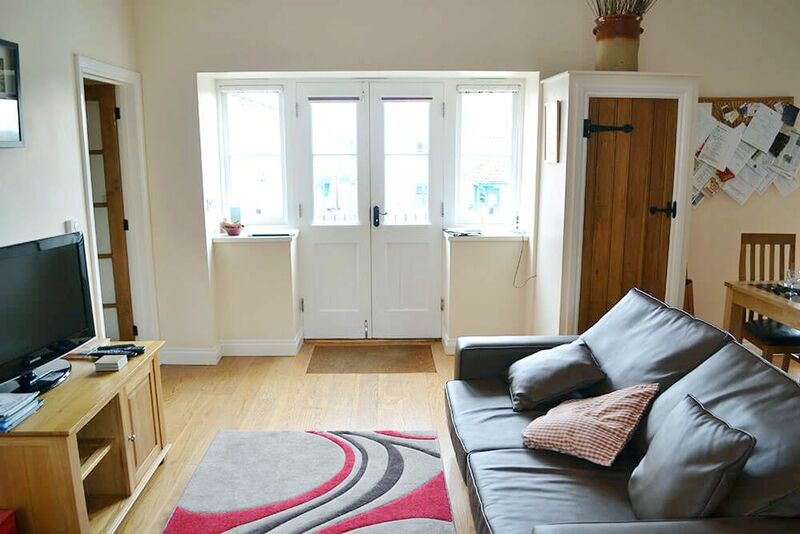 A further two Guests can be accommodated on a sofa bed in the sitting area. 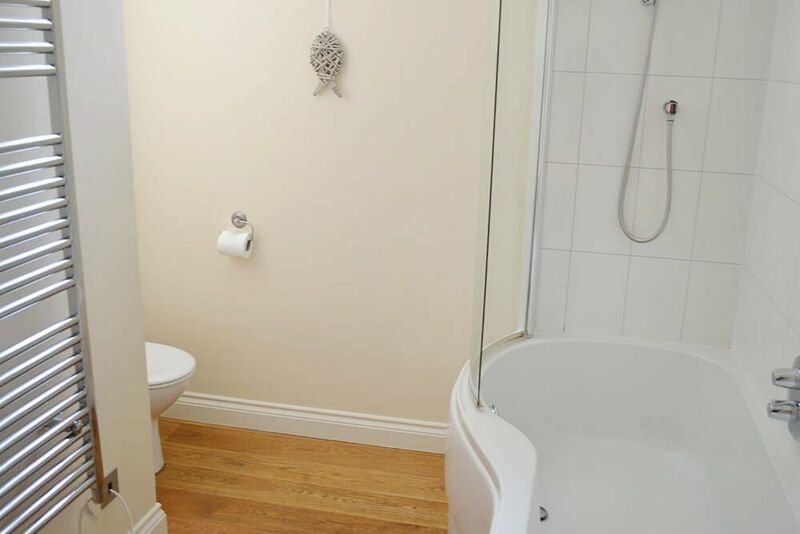 The family bathroom has a P shaped bath with a shower over. The private patio to the front of the cottage is a delightful spot to sit and relax in at any time of day. 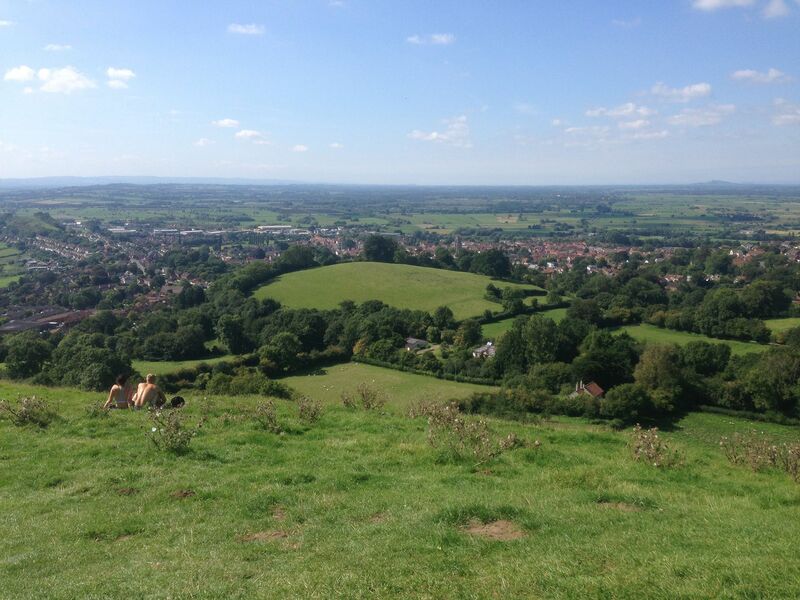 Tiarks is nestled below Crook Peak on the edge of the Mendip Hills Area of Outstanding Natural Beauty, with scenic walks to its summit offering views of the Somerset Levels as far as Glastonbury Tor! 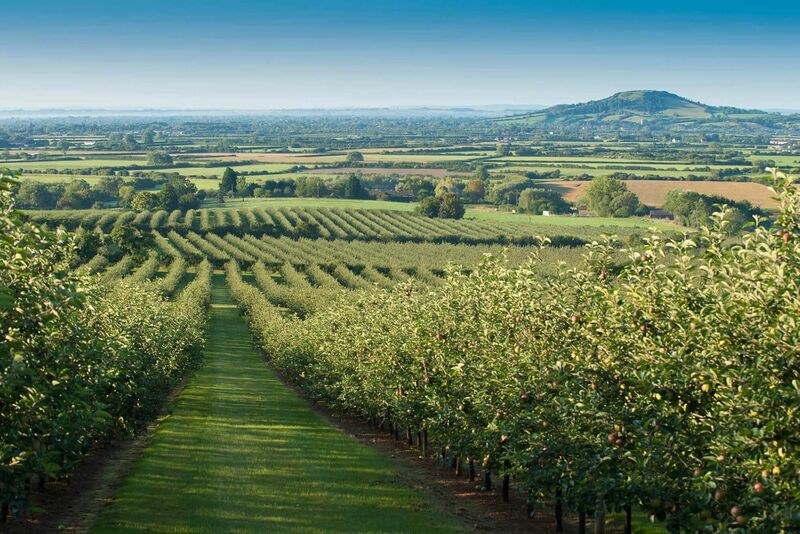 Amidst Somerset's famous cider making and Cheddar strawberry growing area, the location is ideal for guests looking for peace, tranquility and the great outdoors. Fishing, kayaking, canoeing, archery, air rifle & pistol target shooting, walking, horse riding and golf are all catered for locally. Guests are also provided with day passes, according to the length of their stay, for the nearby Webbington Hotel & Spa facilities which include an indoor swimming pool, gym, spa, tennis courts, bars and restaurant. To make your vacation unique, additional services can be arranged on request, from your own personal chef and beauty treatments, to clay pigeon shooting and cocktail making to name but a few. 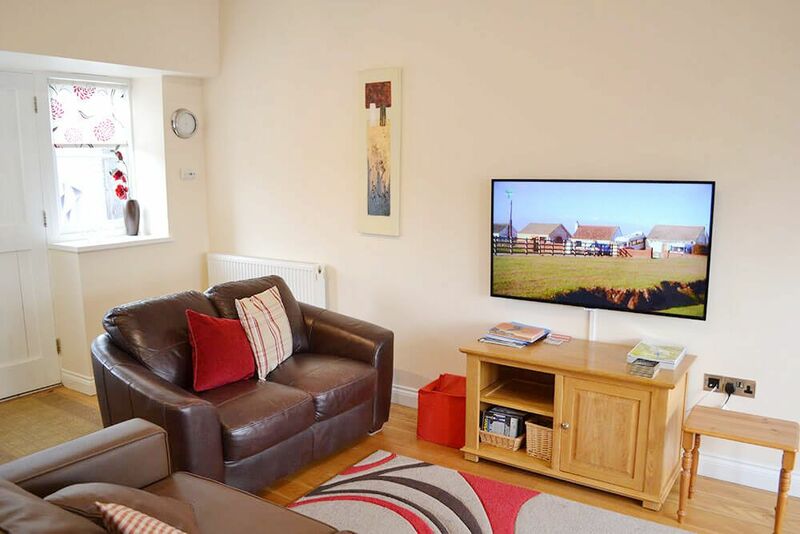 The other three cottages at Webbington Farm are Kitty​ (4 Guests), Poppy (sleeps 6 + 1) and Golightly (4 + 3 Guests). 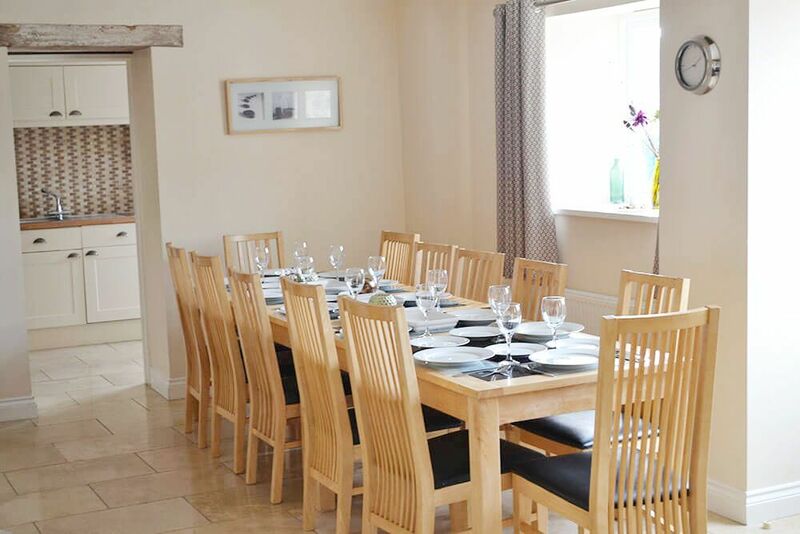 All three cottages can be booked together for larger groups to accommodate up to 25 guests. Tiarks has a luxury heated hot tub in a separate building. Winscombe (3 miles) has a lovely array of independent shops and tea rooms as well as the village pub, The Woodborough Inn. The medieval town of Axbridge (3.6 miles) has a butchers, a Co-op (open 7am-10pm) and Post Office. There is a local Farmers Market in the Square first Saturday of every month. There are three good pubs which all serve meals including The Lamb Inn, the Crown Inn and The New Inn at Cross (2.7 miles). There is a lovely tearoom/café in The Square, The Almshouse Tea Shop, which serves breakfasts/lunches/cream teas. Cheddar (5.5 miles) has a Budgens and Tesco Express and several pubs and restaurants including the Gardeners Arms and Shahnaz, an Indian Cuisine Restaurant. Lye Cross Farm (8.5 miles) offers fantastic quality locally produced meat and boasts a delicatessen counters, including the Lye Cross Farm cheese. Sainsbury's, Tesco & Waitrose are also able to deliver to this property. The Webbington Hotel & Spa, originally an attractive Edwardian manor has bars and a restaurant and is a 4 minute walk (0.2 miles). The Crown Inn at Churchill (6.6 miles). The Cove, Weston-super-Mare (7.8 miles). This Michelin recommended restaurant is situated on the promenade, overlooking Knightstone island with views of the bay. Barley Wood Walled Garden is a carefully restored Victorian kitchen garden with a kitchen garden restaurant, The Ethicurean Restaurant (11 miles). The Waldegrave Arms is the quintessential English country pub set in the wonderful village of East Harptree (15 miles). Additional Services can be arranged on request during your stay, ranging from your own personal chef, golf day passes and packages, through to clay pigeon shooting, wine tasting, outdoor pursuits, cakes, beautician, cocktail making, hairdresser & horse riding lessons to name but a few. Please contact us to tells us what you'd like us to arrange for you! 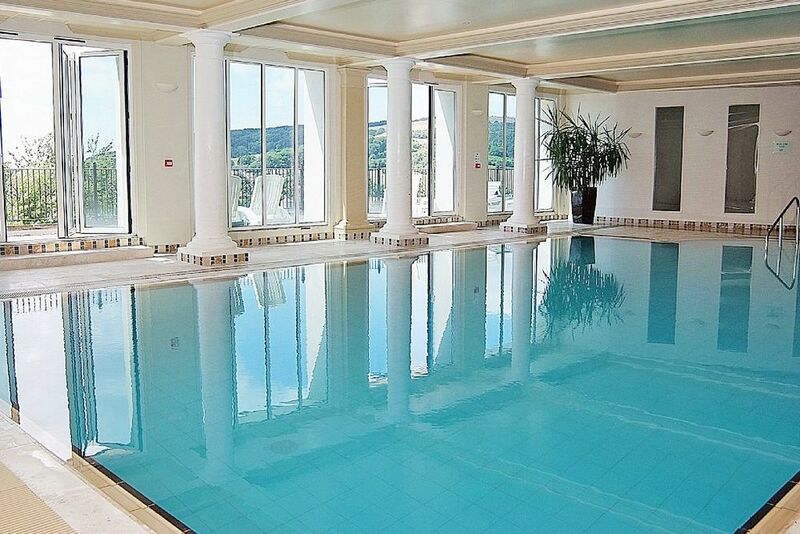 Guests at Golightly are provided with day passes, according to the length of their stay, for the nearby Webbington Hotel & Spa facilities which include an indoor swimming pool, gym, spa, tennis courts, bars and restaurant. Crook Peak - take a high-ridge 5 mile ramble along the stunning western edge of the Mendip hills to Somerset’s shapeliest summit. Start out at King’s Wood (1.2 miles), an ancient woodland now managed by the National Trust and follow the blue arrow signs for the long distance footpath, The West Mendip Way. Mendip Snowsport Centre, Churchill (5.3 miles). Cheddar Gorge X-treme, Cheddar (6 miles). Adventure caving experiences, rock climbing experiences and Cheddar Gorge climbs. Cave Climb - Rock Climbing, Abseiling and Caving experiences. Activities run in various venues within 6 miles of Cheddar (6 miles). First Flight - Hot Air Balloon rides (5.5 miles from the Cheddar launch site). Delta Force Paintball, Off Brockley Combe Road, Backwell (12.5 miles). The famous trout lake of Blagdon as well as fishing at Chew Valley Lake, Barrow Tanks and Litton Lakes are all under 40 minutes' drive. Mendip Spring Golf and Country Club (6.8 miles). Burnham & Berrow Championship Golf Course (8.8 miles). Priddy and Deer Leap is a 9 mile off road cycling route, starting at Priddy Green outside the New Inn (11.4 miles). At Sidcot Equestrian Centre (3.7 miles), riders can enjoy lessons in the 30 x 40 m floodlit outdoor school, or hack in stunning surroundings across their 150 acre estate in the beautiful Mendip hills. Shipham Riding, Shipham (4.5 miles) is a small, friendly establishment, where the emphasis is on quality tuition and carefully escorted hacking over the picturesque Mendip Hills and countryside. Tynings Trekking Centre, Blagdon (7.8 miles) is in a prime situation allowing direct access onto a vast network of bridlepaths covering 1000′s of acres of forestry and moorland with spectacular views across seven counties covering a great variety of terrain. The ‘No Road’ policy means riding with Tynings is suitable for everyone. South West Karting, Cheddar (6.8 miles). Somerset's number one indoor kart centre. AXBRIDGE (3.6 miles) is a is a charming historic town which is famous for its medieval market square and some interesting Tudor houses and 13th century parish church. An art deco cinema in a house, The Roxy, is one of England's smallest (seats 30), with film showings on Fridays evenings! Pride of place in the square goes to King John’s Hunting Lodge which is a National Trust property housing a Museum of local history. CHEDDAR (5.5 miles) is a large village on the edge of the Mendip Hills, renowned for the Cheddar Gorge and Caves, a SSSI. This largest gorge in Britain includes several show caves such as Gough’s Cave, through which Britain’s biggest underground river runs. Discounted tickets of around 25% are available to guests who stay at Webbington Farm cottages. The Cheddar Gorge cliffs are Britain’s highest inland limestone crags and create a spectacular sight. The village gave its name to Cheddar cheese and has also been a centre for strawberry growing, the crop being transported on the railway, which now provides a fabulous cycle path, The Strawberry Line. WESTON-SUPER-MARE (7.2 miles) is a traditional seaside town with awarding-winning sandy beaches, donkey rides, water sports, restaurants and shops as well as the Playhouse, Winter Gardens, SeaQuarium and the fantastic Helicopter Museum. The Grand Pier offers a year-round programme of shows, musicals and fairs (please check the web site for events). 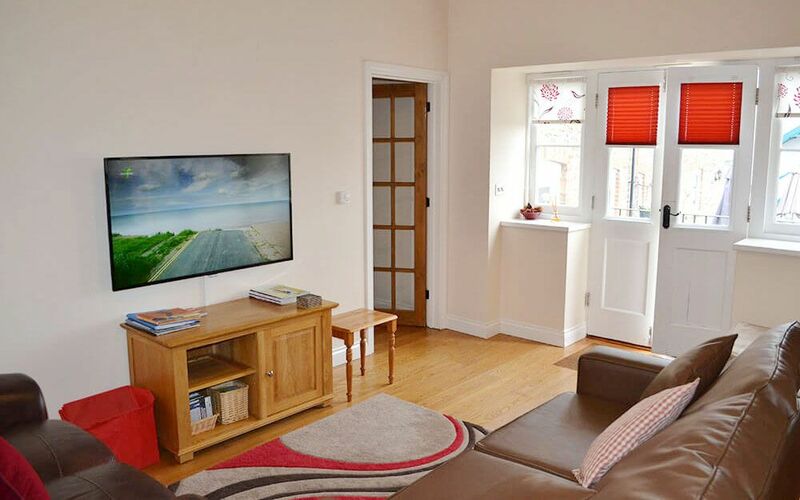 Sand Bay, just 2 miles away offers an unspoilt beach allowing dog walking and horse riding all year round and Sand Point and Middle Hope, owned by the National Trust, are nearby. BURNHAM ON SEA (8.8 miles) has seven miles of unspoilt sandy beaches, sailing, fishing and donkey rides, as well as Burnham & Berrow Championship Golf Course. CLEVEDON (13.6 miles) is a Victorian seaside town full of old-fashioned charm. Many great writers have penned their finest here and it's easy to see why when you stroll down the Grade 1 listed pier and watch the sun set over the Bristol Channel. The Curzon Community Cinema here is historically unique. WELLS (14.5 miles), is known as England's smallest city, with its historic centre, the magnificent Cathedral situated within a most attractive Cathedral Close, which also boasts the unique moated Bishop's Palace. The Bishop's Palace hosts events throughout the year, please check their website for details. Close by, Vicars Close is home to the oldest complete medieval street in Europe, and the quaint market square offers an array of interesting shops, boutiques and restaurants, and a colourful twice weekly market. GLASTONBURY (16.2 miles) is an historic town with colourful shops and a mystical atmosphere, well-known for its Tor, music festival and ruined Abbey. STREET (17.5 miles) boasts a major factory outlet shopping complex - Clarks Village - which attracts visitors from far and wide. It was the first purpose-built outlet shopping scheme in Britain (1993), and now offers over 75 individual shop units, many of which are household-name companies, selling quality goods at discount prices. BRISTOL (20 miles) is world renowned as a port and has a wide range of museums highlighting the city's history. Bristol can boast some impressive historical landmarks, too, in the shape Brunel’s awe-inspiring Clifton Suspension Bridge and his beautifully restored steamship, the SS Great Britain in Bristol's historic Harbourside. Visit Bristol Museum & Art Gallery which features outstanding collections of art and archaeology, geology and natural history and the interactive At-Bristol Science Centre. Bristol Zoo Gardens is an adventure into an exciting animal kingdom, all set within 12 acres of beautiful award-winning gardens. BATH (29.3 miles) is a beautiful, cosmopolitan city, a World Heritage Site which offers something for everyone. No matter the time of year you visit, you are likely to find events catering for all tastes, from the well-loved Christmas market to music, food and cultural festivals and world-class theatre productions on offer at the Theatre Royal. The streets are lined with every kind of restaurant and a wide range of quality bars and shops. The stunning and well-preserved architecture of the Georgian terraces such as The Royal Crescent are famous. A visit to the celebrated Roman Baths and wonderful Bath Abbey are a must. The American Museum at nearby Claverton Manor makes for an interesting visit, or you could hire a bike or take a gentle boat trip and explore the gorgeous scenery along the Avon and Kennet canal towpath. For contemporary art don’t miss the achingly hip Arnolfini, while just across the river you’ll find the Watershed, one of the city’s major cultural hotspots where you can catch indie and art-house films, see an exhibition or grab a drink overlooking the docks. The city’s major theatres and concert halls include the Bristol Old Vic, the Colston Hall and the Tobacco Factory, while more mainstream touring productions are on offer. The Old Duke is a music venue situated on the cobbled King Street in the heart of Bristol. Named after Duke Ellington, the pub has become world famous for it's live traditional, New Orleans inspired Jazz music. The RWA – England’s only regional Royal Academy of Art – showcases national and international visual art. The St George's Bristol is an independent concert hall and recording studios, staging classical, jazz, world music and opera. Court Farm Country Park, Banwell (4.5 miles). Somersets top award winning farm attraction - open all year round. Puxton Park, Hewish (6.7 miles). An all-weather adventure park with soft play, aerial climbing and slides in 40 acres of countryside. Animal Farm Adventure Park, Berrow (7.6 miles). Rich's Cider Farm, Highbridge (8.7 miles). 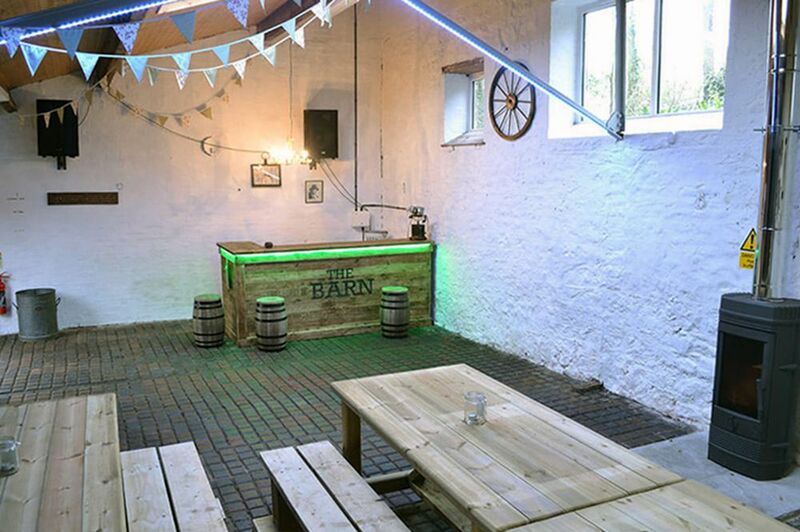 A traditional cider farm with a charming farm shop, where you can buy local produce including cider, ale, cheese and honey, as well as locally-made pottery. See how the cider is made and learn all about its history in the cider museum. While you're there, take a look at the apple orchards and stop in for lunch at their top restaurant. Brean Family Theme Park, Brean (9.7 miles) is the UK's largest FREE admission theme park, with over 40 rides and attractions. Brean Splash Waterpark, Brean (9.7 miles). A fantastic indoor and outdoor facility. Please check their timetable before you visit. Wookey Hole Caves & Attractions ... Britain's most spectacular caves and legendary home of the infamous Witch of Wookey (12.2 miles). The Shoe Museum, Street (17.2 miles), houses more than 1,500 shoes from Roman to modern day. The Museum also tells the story of Clarks from its beginnings in the early 19th century. Noah's Ark Zoo Farm, Wraxhall (17.6 miles) has over 100 species of big zoo animals. Tyntesfield (National Trust) (18.8 miles) is a fascinating Victorian house festooned with gothic architecture and peaceful, wooded gardens. Westonzoyland Pumping Station Museum, Westonzoyland (20 miles), houses a fascinating collection of stationary steam-powered engines. The museum holds steaming days every month during the tourist season, allowing visitors the rare chance to see these old machines working as they used to....with steam power. Coates English Willow & Wetlands Visitor Centre, Stoke St Gregory (25.2 miles). Guided tours, willows and wetlands walks, unique basket museum, Lemon Tree coffee house and shop. Hestercombe Gardens, Hestercombe (25.8 miles). This wonderful garden restoration, featuring temples, lakes and formal beds, is the joint work of design greats Gertrude Jekyll and Sir Edward Lutyens. Haynes International Motor Museum, Sparkford, Yeovil (30.4 miles), is the UK's largest exhibition of great cars from around the world. A living and working museum, with over 400 amazing cars and motorcycles and a collection of other automobilia. Longleat Safari and Adventure Park, Warminster (36 miles). 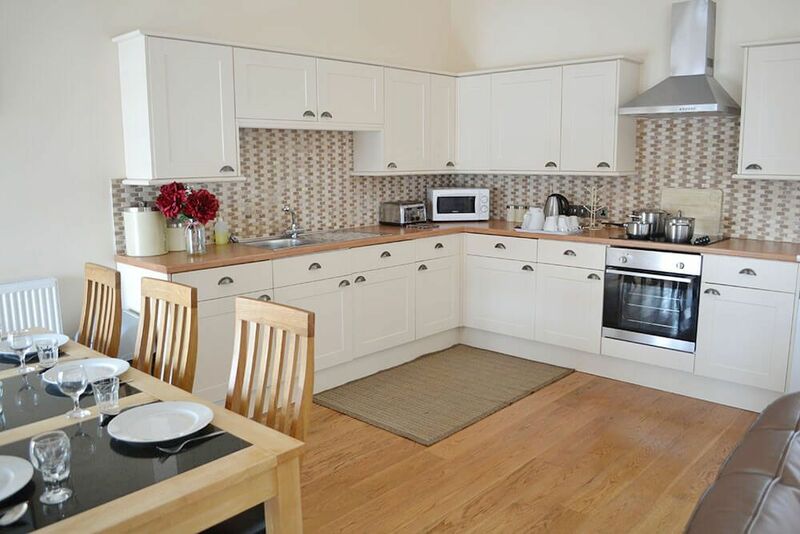 Discounted tickets of around 30% are available to guests who stay at Webbington Farm cottages. Sherry & Mince Pie Specials at Avon Valley Railway, Bitton Station, Bath Road, South Gloucestershire (25 miles). Festival of Light at Longleat, Longleat Safari Park (36 miles). Bristol’s Winter Wonderland at The Mall at Cribbs Causeway (24.6 miles). Bath on ice, Royal Victoria Park, Bath (29.3 miles). Bristol Jazz and Blues Festival, Bristol (20 miles). Enchanted Easter, Wild Place Project, Blackhorse Hill, South Gloucestershire (24.5 miles). Easter Fairytale Kingdom, Wookey Hole (12.2 miles). Easter family fun, Bristol Zoo (20 miles). Easter Egg Hunt, Noah's Ark Zoo Farm, Wraxhall (17.6 miles). Bath Comedy Festival, Bath (29.3 miles). Bristol Folk Festival, Bristol (20 miles). Badminton Horse Trials, Badminton (43 miles). Family Fun Weekend, Avon Valley Railway, Bitton Station, Bath Road, South Gloucestershire (25 miles). International Bath Music Festival, Bath (29.3 miles). VegFest UK, Bristol (20 miles). Bath Fringe Festival, Bath (29.3 miles). The Royal Bath & West Show, The Showground, Shepton Mallet, Somerset (23.6 miles). Let's Rock Bristol!, Ashton Court Estate, Bristol (20 miles). 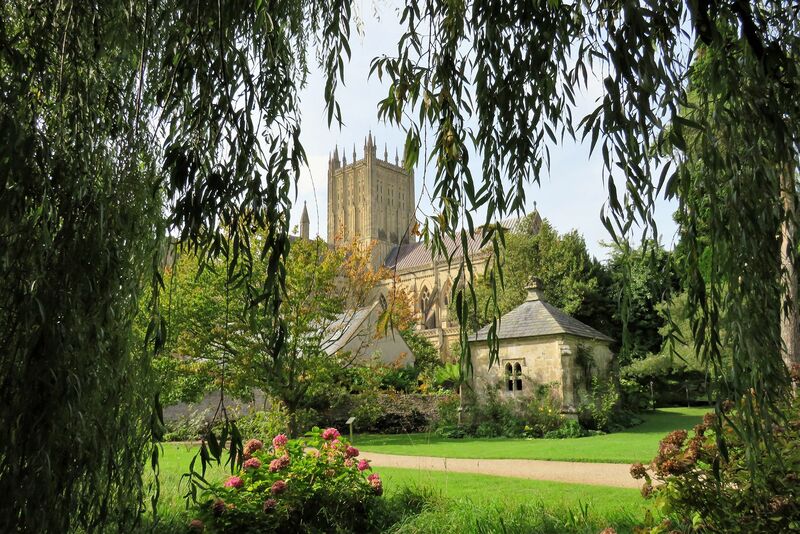 The English Country Garden Festival, The Bishop's Palace, Wells (14.5 miles). Bristol's Big Green Week, Bristol (20 miles). 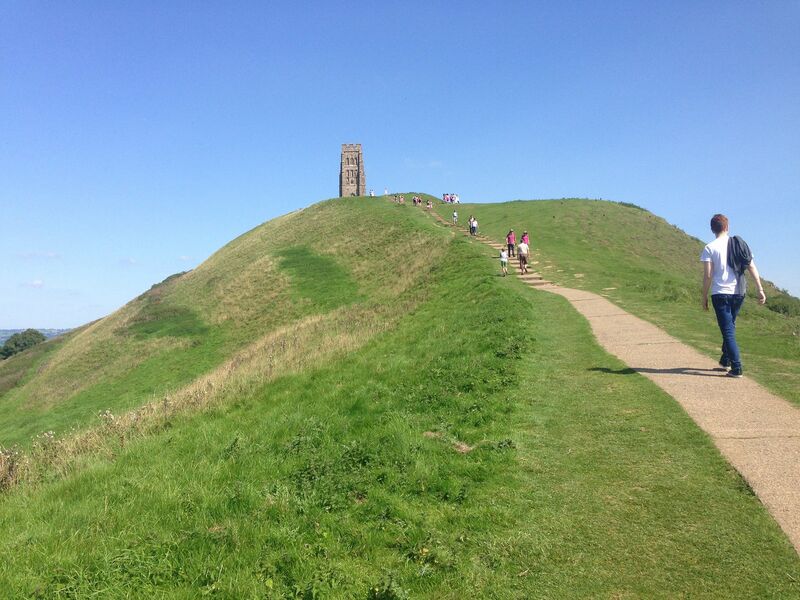 Glastonbury Festival, Worthy Farm, Pilton, Glastonbury (19.3 miles). Bristol Shakespeare Festival, Bristol (20 miles). Bristol Harbour Festival, Bristol (20 miles). Scott May's Daredevil Stunt Show, Brean (9.2 miles). Bath Folk Festival, Bath (29.3 miles). Bristol International Balloon Fiesta, Ashton Court Estate, Bristol (20 miles). Bristol International Kite Festival, Durdham Downs, Stoke Road, Bristol BS9 1FG (20 miles). The Jane Austen Festival, Bath (29.3 miles). Bath Children's Literature Festival, Bath (29.3 miles). Annual Open Exhibition at RWA, Royal West of England Academy of Art, Queen's Road, Clifton, Bristol (20 miles). Wells Festival of Literature, The Bishop's Palace, Wells (14.5 miles). End of Season Gala, Avon Valley Railway, Bitton Station, Bath Road, South Gloucestershire (25 miles). Fear at Avon Valley Country Park, Keynsham, Bristol (24.7 miles). Spooky Half Term Train Rides, Avon Valley Railway, Bitton Station, Bath Road, South Gloucestershire (25 miles). Halloween Festival at Wild Place Project, Blackhorse Hill, South Gloucestershire (24.5 miles). Bath Film Festival, Bath (29.3 miles). Burnham on Sea & Highbridge Guy Fawkes Carnival, (9 miles). Weston-super-Mare Guy Fawkes Carnival, Weston-super-Mare (7.2 miles). Novemberfest Beer Festival, Avon Valley Railway, Bitton Station, Bath Road, South Gloucestershire (25 miles). Bath MozartFest, Bath (29.3 miles). Festival of Light at Longleat, Longleat Safari Park (36 miles). Friday to Monday only. North Petherton Guy Fawkes Carnival, North Petherton (18.6 miles). Wells Guy Fawkes Carnival, Wells (14.5 miles). Glastonbury Guy Fawkes Carnival, Glastonbury (16.2 miles). Bath Christmas Market, Bath (29.3 miles). Santa Special, Avon Valley Railway, Bitton Station, Bath Road, South Gloucestershire (25 miles). Bristol German Christmas Market, Broadmead, Bristol (20 miles). Wookey Hole Santaland, Wookey Hole (12.2 miles). The Bishop's Palace Craft Fair, The Bishop's Palace, Wells (14.5 miles). The Christmas Design Temporium, Bristol’s historic harbourside, Bristol (20 miles). Made in Bristol Gift Fair, Colston Hall, Bristol (20 miles). Festival of Light at Longleat Safari Park (36 miles). Daily. Santa Special, Avon Valley Railway, Bitton Station, Bath Road, South Gloucestershire (25 miles). Selected dates. Festive Food & Craft Market, Tyntesfield (18.3 miles). Meet Father Christmas at Tyntesfield, Tyntesfield (18.3 miles). Christmas Fun Day at the Helicopter Museum, Weston-super-Mare (6 miles). See Santa arrive by helicopter!! Bath Artisan Christmas Market, Green Park station, Bath (29.3 miles). Supper with Santa at Puxton Park (6.7 miles).